SUPER Redditch cyclist Beth Crumpton has been selected to represent Team GB her country at the Elite Cyclo-Cross World Championships. Beth, who is in the third year of a Sport Business Management degree at the University of Worcester, has previously been a shining light on the town centre Tour Series bike race in Redditch. “I’m extremely excited and I am always so proud to represent Great Britain,” she said. Cyclo-cross is a gruelling event which for women involves a minimum 40-minute race over a variety of surfaces, such as grass, wooded sections, road, sand, and challenges such as corners, steps, descents, hills and planks. Beth in the uniform of her new team. It is done in all weather conditions, no race is the same and there is a pit lane twice-a-lap for either repair or to replace the bike. This will be the 24-year-old’s second World Championships, this year held in Bogense, Denmark this weekend, February 2-3. Beth, who represented England at the Glasgow Commonwealth Games, finishing ninth, won the Cyclo-Cross National Trophy in the 2018/19 season, retaining her title from the previous year. 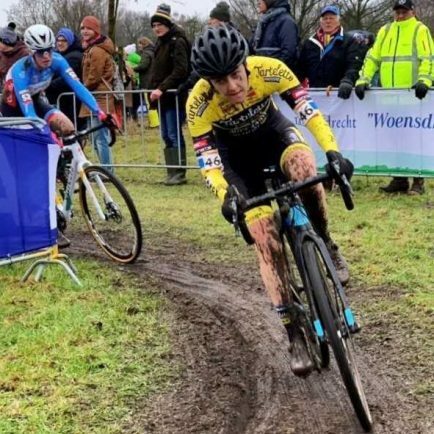 She is ranked in the top 50 cyclo-cross cyclists in the world and finished fourth in the 2019 National Championships despite a mechanical issue, and hopes to build on last year’s Cyclo-Cross World Championships, where she finished 23rd. Beth first started cycling as a hobby when she was 11, but got more serious about the sport after winning her first national race in cross-country mountain biking at 13, which led to her winning the British championships and national series that same year. She was talent spotted by British Cycling and progressed through their Olympic pathways onto the full-time Olympic Academy Programme at 18, focusing on mountain biking, but has since changed disciplines. Unlike some of her competitors who are full-time athletes, Beth fits her gruelling training around lectures and writing assignments, as well as part-time work. She said the University’s sports scholarship programme had given her incredible support. “I have had access to all support areas I need, from the gym, massage, lab support, nutrition and lifestyle support,” she said. 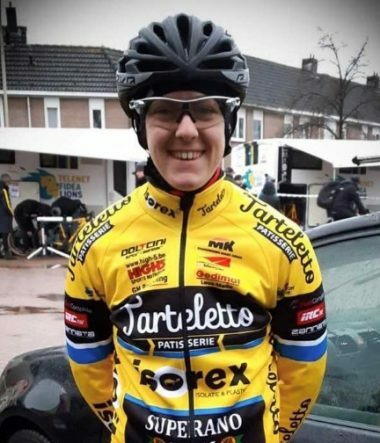 Beth rides for the Belgium-based Team Tarteletto-Isorex and balances training with studying.